Jennifer Miller Gehman has been with her partner, Kirby Gehman for 25 years and has been a parent since 1996. She has five wonderful children, three girls, 21, 19, and 12 and two boys, 18 and 16. She has had the privilege of homeschooling her children since the beginning. Her three oldest are pursuing higher education and the two younger are still at home completing high school and junior high. She is a facilitator-in-training with the Neufeld Institute in Vancouver, under the guidance and tutelage of Dr. Gordon Neufeld and his incredible staff. She had a long struggle to find a parenting “philosophy” that felt right for her and her family and was greatly relieved to stumble upon the Neufeld developmental approach in 2009. Since then she has been studying at the Institute, and learning to be a better parent and partner. She is a certified high school mathematics teacher and worked in the early years of her career as a recreation professional before embarking on her current parenting adventure. She currently serves as President of the Manitoba Association for Schooling at Home, the largest and only secular homeschool group in the province. 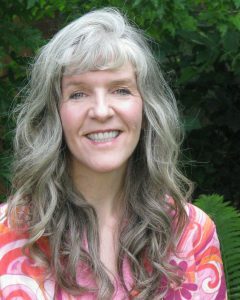 She is one of the founders and designers of Wildwood Curriculum, a homeschooling curriculum based on the educational work of Charlotte Mason. In her free time she sews and creates costumes for theatre and cosplay. She is involved in a homeschool learning group with ten other families where they create an inter-generational, cooperative learning environment for children and teens of all ages that culminates in a full-fledged production of a Shakespearean play performed in original text with full set and costumes at a local theatre production house. She is excited to share her experiences with others struggling to make sense of attachment and relationship.